The film has an 86 percent rating on Rotten Tomatoes, with one critic saying it "makes you want to reach right into the screen and tell Whitney Houston to draw herself back from the abyss." LOS ANGELES — Attorneys for Bobby Brown and the estate of Bobbi Kristina Brown have filed suit in a New York court over the documentary "Whitney: Can I Be Me," alleging that Showtime, the BBC and several other defendants violated their rights by improperly using footage from the production of the 2005 reality series "Being Bobby Brown." Brown's lawsuit, filed in U.S. District Court's New York southern district, asks for $2 million from defendants Passion Pictures, Tracey Baker-Simmons, Wanda Shelley, B2 Entertainment and Simmons Shelley Entertainment, as well as Showtime and the BBC. The suit claims that Brown and his late daughter appear in the documentary for more than 30 minutes despite never having signed releases for the footage. Contracts or releases they did sign for the filming of the lone season of Bravo's "Being Bobby Brown" in 2005 didn't carry over for any other usage, the claim maintains. "The footage was actually recorded prior to the divorce in 2007 between Brown and Houston," reads the document. "Brown never signed or executed a release for the airing of the material that appears in the film. The footage of Brown is approximately fifteen (15) years old... Assuming that Plaintiff(s) have proper title to the footage, they do not have proper title to its contents." The film's co-directors, Nick Broomfield and Rudi Dolezal, are not named as defendants, although the suit does include as an attachment a 2016 letter from Broomfield to Browns representatives trying to obtain a fresh interview for the documentary. 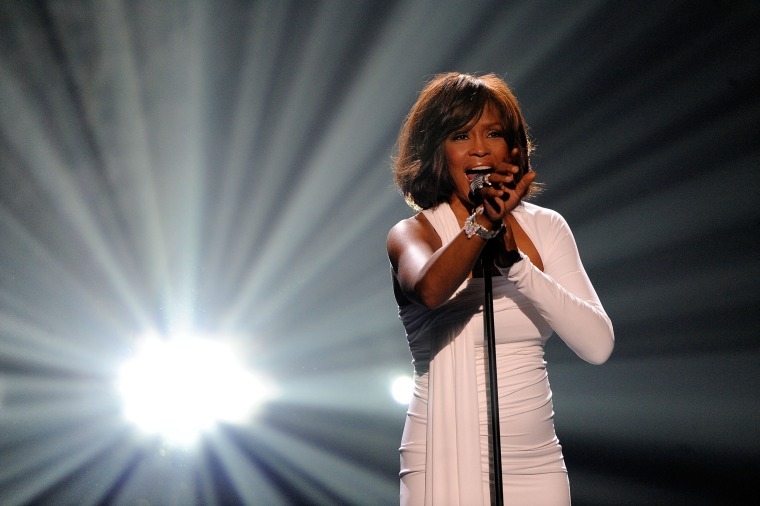 "I am particularly keen to do a positive piece that explains the life of Whitney in a loving and enlightening way," Broomfield wrote in the letter. "We have a huge respect for Bobby Brown, his work as an artist and his achievements. We're of the firm belief that he has been judged very hard and would like to see this as an opportunity for him to tell his story from the heart. We can assure you we have no agenda and come in good faith." "Whitney: Can I Be Me" premiered at the Tribeca Film Festival in April 2017 — something the lawsuit suggests was an attempt to get positive publicity for the film before Brown's representatives could object — and first aired on Showtime in August of that year. The doc has an 86 percent approval rating on Rotten Tomatoes. Variety's Owen Gleiberman described it as "the rare Nick Broomfield movie in which the filmmaker isn't center stage... 'Whitney: Can I Be Me' has no conspiracies to uncover. It just has a story to tell, and it does that incredibly compellingly... It makes you want to reach right into the screen and tell Whitney Houston to draw herself back from the abyss, to find the thing she gave to so many others: the greatest love of all." The lawsuit also attaches a 2015 letter from producer Baker-Simmons to Brown's reps, referencing "the co-production agreement which outlines the talent fee for Bobby for the 'Being Bobby Brown' series," the inference being that Brown signed away his rights to the footage under a contract at that time. According to the suit, "As B2 (the company that helped create the Bravo series) was dissolved before 2009, SSE, Shelley or Simmons had no rights to the 'Being Bobby Brown' footage and had no rights to license or assign the footage to the other Defendants." Showtime was not immediately available for comment on Brown's suit.